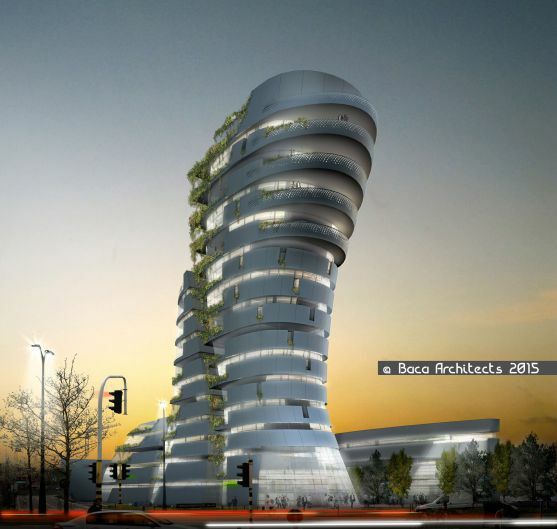 Our clients were so taken with the design of Baca’s Nijmegen Tower, Netherlands, showcased at MIPIM 2015 in Cannes, they felt that the strong silhouette and fluid forms could be evolved for their prominent site on the border between Belgium and Holland. The desire to create an engaging public space helped to drive the design for the 250,000 sq ft development. The hotel tower forms the centre piece of the development, supported by a mix of leisure and retail at ground level with residential units above. The design is currently in development.